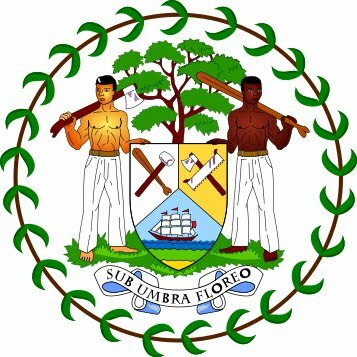 Press Release – Belize Press Office – Belmopan, 8 December, 2011 - The Ministry of Health, in collaboration with the Department of Environment and the Belize Electric Company (BECOL), has concluded another testing of mercury in fish from the Macal River. The following Public Advisory is being issued to guide the general public on weekly consumption quantities of Bay-snook (Petenia splendid) from the Macal River to avoid ill effects due to mercury exposure. The latest result from samples of fish taken from the Macal River on the 23rd, 24th and 25th August 2011, indicated that the new levels of mercury found in the Bay Snook (Petenia splendid) is at 1.35 mg/kg. This new level records a decrease of 0.28 mg/kg over the last test results of April 2011, and the new weekly consumption of Bay-snook shall be 0.01 lbs or 1.4 oz for an individual of 175 lbs. Although the mercury concentration has decreased, the public is still asked to not to eat the fish since the mercury concentration is a little under three times the recommended dose. The overall findings from the fish sampling indicated that of the fifteen types of fish analyzed ten or 66.7% had decreases ranging from 0.5 to 0.01mg/kg and three or 20% had increases ranging from 0.01 to 0.3 mg/Kg and two types had no previous data for comparison from the April 2011 fish sampling. The Ministry continues to advise the public to observe the recommendation to avoid long term effects such as: mental retardation in children, poor development of infants, vision impairment, nervousness, weakening of muscles in the hand and feet. 3. Taking Omega Acid Supplements. The general public is warned that the advisory on consumption of Bay–snook (Petenia splendida) only applies to Bay- snook caught and eaten from the Macal River. Furthermore, the Ministry of Health would like to assure the public that it remains watchful on this issue and will continue to track its progress and make the necessary advisory on the mercury level. Let’s remain safe and healthy and avoid eating Bay-snook from the Macal River.